MLS# 703521 - Lot 30 Midland Park Lane, Greensboro, NC 27455 - "Your Home Team Advantage!" Courtesy of Berkshire Hathaway HomeServices Yost & Little Real. New construction St Andrew custom home with all the lovely amenities, All brick homes,3 bdrms on main level upper walk-in storage, great room, office. Kitchen offers granite counter tops, stainless steel appliances, tile back splash, island and pantry, upgraded moldings, tile baths. Screen porch with grilling patio. HOA covers exterior maintenance and yard, convenient location to everything! Directions: North Elm to L. on Willoughby, R. on Pisgah Church, L. on Willoughby End *or* N. on Battleground, R. on Pisgah Church, L. on Willoughby End. 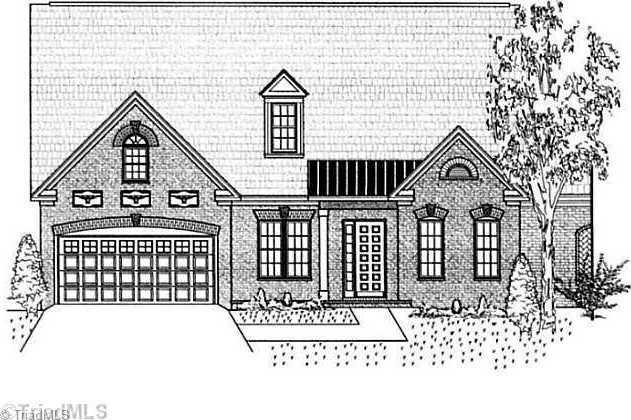 Please, send me more information on this property: MLS# 703521 – $399,900 – Lot 30 Midland Park Lane, Greensboro, NC 27455. I would like to schedule a showing appointment for this property: MLS# 703521 – $399,900 – Lot 30 Midland Park Lane, Greensboro, NC 27455.